Some of the best martial artists in ONE Championship stood together in the continuous campaign against bullying, while prompting budding practitioners to uphold the true values of their respective disciplines. In the clip, the junior high school taekwondo athlete was seen humiliating and physically abusing his schoolmate in a lavatory of an established university in the Philippines. The incident left a sour taste in the populace, with some thinking that martial arts have become a tool for people to exploit others - but it’s a thought that ONE talents wish to take away. "Bullying is not in the vocabulary of a real martial arts practitioner. Martial artists have self-control, discipline, respect and humility. Being abusive is not a martial artist's attitude," explained Former ONE Flyweight World Champion Geje "Gravity" Eustaquio. "This world needs superheroes, not villains. We are totally against bullying. One wrongful martial artist doesn't define the whole community of martial arts. That is not the case at all." ONE Lightweight World Champion Eduard "Landslide" Folayang believes that coaches should instill the core values of the discipline to the aspiring practitioner from the very start. "First of all, martial artists are supposed to be taught not just how to fight, but values must be instilled. They must develop character more than the skills and fighting itself. 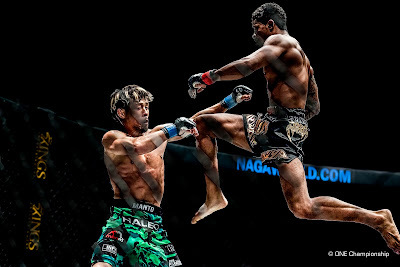 The essence of martial arts must be the first thing that must to be taught," Folayang stressed. "Martial artists are supposed to protect the weak, not bully them. Martial arts are not supposed to be a weapon for a bully. "For trained martial artists, when a bully is around, you simply restrain. Refuse to engage into a fight until you have no choice but to fight back. Show them kindness, that's the best way to handle bullying I think." While not everyone will have access to martial arts training, ONE Heavyweight World Champion Brandon “The Truth” Vera suggests taking a different approach. Admitting that he was bullied in the past, the beloved Filipino-American superstar came up with a video on social media, prompting bullied kids to speak-up, and others to further educate people about the ill-effects of bullying.